The top performing trade mentoring and research service available today. Get behind the scenes access to a top performing hedge fund manager's trading portfolio, a 50-year veteran. This is your chance to look over the shoulder of John Thomas as he gives you unparalleled insight on major world financial trends BEFORE they happen. Even in the most challenging economic times thousands of individual traders have made fortunes in the markets, thanks to following John Thomas, author of the Diary of a Mad Hedge Fund Trader newsletter. This is the top performing trade mentoring service available today. Email trade alerts, as well as instant text messages whenever John sees an opportunity in the markets that you must act on immediately. Now, you’ll never miss a chance to capitalize on global trends. LIVE coaching via bi-weekly global strategy webinars, where John reviews market activity over the past two weeks for every asset class, gives you a detailed outlook at the upcoming weeks ahead, and most importantly, explains how you can turn this information into real profits. Question and answer sessions will assure that you don‘t leave the group coaching sessions without knowing WHY you’re about to make the moves that John recommends. Daily market commentary with concise explanations of the trades John has suggested each day and why. Extra recommendations, charts, graphs, deep background research, and invitations to special events not available to the public. Get an insider’s look into the next big trends in technology. If you have to focus your portfolio on a single sector, then technology absolutely has to be it. Today, tech companies are growing 50% faster than any other parts of the US economy. Tech now accounts for 25% of US stock market capitalization, and it is on its way to 50% over the next decade. The products and services tech will spin off will not only change your life, they will make you rich, but only if you act of the information John Thomas provides you. John Thomas has been involved in technology since the early days, as an angel investor, venture capitalist, and hedge fund manager. He has personally known many of the industry founders, such as Steve Jobs, Steve Wozniak, and Bill Gates. Let a 50-year market veteran direct you to the fastest growing areas of this amazing industry. A daily research newsletter highlighting the most important developments in tech, including strategic profiles of the most important companies. Immediately actionable text and email Trade Alerts sent out at market sweet spots. Live coaching with a biweekly strategy webinar and Q&A session. Gaining an unfair advantage in the most important investment theme of your lifetime will be the best decision you have ever made. A service provided by Bill Davis, a successful independent stock market trader for 35 years. Bill provides a daily market commentary every morning giving his short-term outlook for the stock market. He also gives an interactive biweekly strategy webinar where subscribers can ask questions on specific stocks. Mad Day Trader uses a variety of technical and fundamental indicators to determine when to enter and exit positions in US stocks. Specific trade suggestions will be sent to you by email for immediate execution. Market conditions will dictate the volume of trade recommendations. As with our existing service, you will receive ticker symbols, specific entry and exit points, targets, stop losses, and regular real time updates. At the end of each day, a separate short-term model portfolio will be posted on the website. Combining two services gives you better coverage of everything happening in the markets and it saves you money! This includes Global Trading Dispatch - Global Trading Dispatch is the top performing trade mentoring and research service available today. 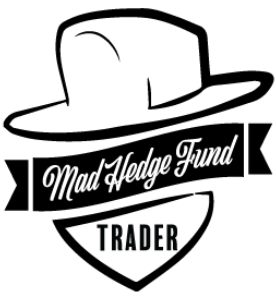 Mad Day Trader - Offers specific trade suggestions will be sent to you by email for immediate execution. Market conditions will dictate the volume of trade recommendations.